Global supercomputer leader Cray Inc. (NASDAQ: CRAY) today announced the Department of Defense (DoD) High Performance Computing Modernization Program (HPCMP) has awarded the Company a $30 million supercomputer contract for two Cray® XC40™ supercomputers and two Cray Sonexion® storage systems. The Cray systems will be located at the U.S. Navy DoD Supercomputing Resource Center (Navy DSRC) at the John C. Stennis Space Center in Mississippi. The Navy DSRC is a premier provider of high performance computing services and support to scientists and engineers at the DoD, and is one of the five supercomputing centers established by the HPCMP. The Navy DSRC will use the Cray XC40 supercomputers to produce high-resolution, coastal-ocean circulation and wave-model oceanography products supporting Navy and DoD operations worldwide. In operation for more than 20 years, the DoD HPCMP remains focused on its mission to accelerate technology development and transition into superior defense capabilities through the strategic application of high performance computing (HPC), networking and computational expertise. The HPCMP provides the people, expertise and technologies that increase the productivity of the DoD’s Research, Development, Test and Evaluation community. Cray has worked closely with the HPCMP since its inception. 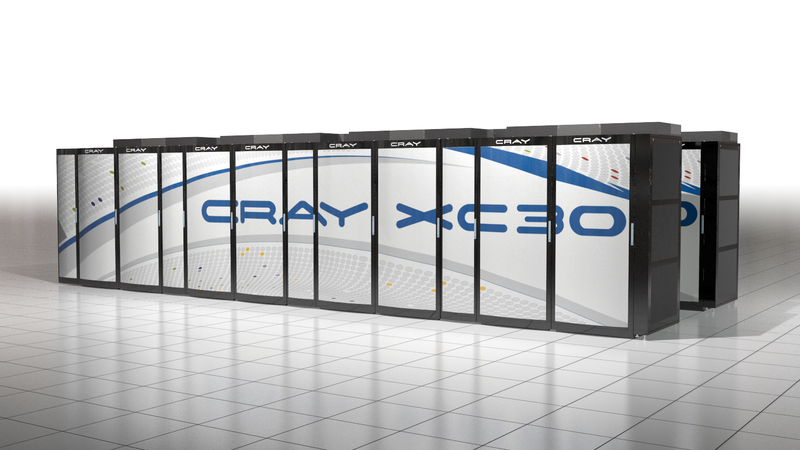 Cray XC40 supercomputers are engineered to meet the performance challenges of today’s most demanding HPC users. Special features of the Cray XC40 supercomputer include: the industry-leading Aries system interconnect; a Dragonfly network topology that frees applications from locality constraints; optional DataWarp applications I/O flash SSD accelerator technology; innovative cooling systems to lower customers’ total cost of ownership; the next-generation of the scalable, high performance Cray Linux Environment supporting a wide range of applications; Cray’s HPC optimized programming environment for improved performance and programmability, and the ability to handle a wide variety of processor types in a tightly-integrated system infrastructure. 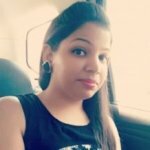 Cray’s Sonexion storage solution combines Cray’s Lustre expertise with a tightly integrated, unique design that allows for maximum scalability and performance. Management and operations are simplified through an appliance design with all storage components including software, storage and infrastructure. Awarded by US Army Engineering and Support Center, Huntsville, the contract is valued at more than $30 million in product revenue and also includes four separately priced one year options for maintenance. The systems are expected to be installed in 2015. The HPCMP provides Department of Defense supercomputing capabilities, high-speed network communications and computational science expertise that enable DoD scientists and engineers to conduct a wide-range of focused research, development and test activities. This partnership puts advanced technology in the hands of U.S. forces more quickly, less expensively, and with greater certainty of success. Today, the HPCMP provides a complete advanced computing environment for the DoD that includes unique expertise in software development and system design, powerful high performance computing systems, and a premier wide-area research network. The HPCMP is managed on behalf of the Department of Defense by the U.S. Army Engineer Research and Development Center. For more information, please visit the DoD HPCMP website at www.hpc.mil. This press release contains forward-looking statements within the meaning of Section 21E of the Securities Exchange Act of 1934 and Section 27A of the Securities Act of 1933, including, but not limited to, statements related to the timing of delivery of the systems purchased by the DoD HPCMP and Cray’s ability to deliver systems that meet the DoD HPCMP’s requirements. These statements involve current expectations, forecasts of future events and other statements that are not historical facts. Inaccurate assumptions and known and unknown risks and uncertainties can affect the accuracy of forward-looking statements and cause actual results to differ materially from those anticipated by these forward-looking statements. Factors that could affect actual future events or results include, but are not limited to, the risk that the systems required by the DoD HPCMP are not delivered in a timely fashion or do not perform as expected and such other risks as identified in the Company’s quarterly report on Form 10-Q for the quarter ended September 30, 2014, and from time to time in other reports filed by Cray with the U.S. Securities and Exchange Commission. You should not rely unduly on these forward-looking statements, which apply only as of the date of this release. Cray undertakes no duty to publicly announce or report revisions to these statements as new information becomes available that may change the Company’s expectations. Cray and Sonexion are registered trademarks of Cray Inc. in the United States and other countries, and XC40 is a trademark of Cray Inc. Other product and service names mentioned herein are the trademarks of their respective owners.